Popular Port Harcourt based Human Rights Activist and Executive Director of Human Rights Alliance, Barr. 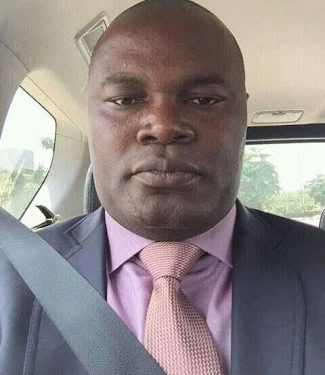 Ken Atsuwete, has been assassinated according to a report by the Punch Newspaper. He was shot several times at about 8pm on Sunday, August 28. His lifeless body has been deposited in the mortuary. This is too shocking and senseless to believe. The deceased was one of the speakers at the just concluded national conference of the Nigerian Bar Association in Port Harcourt, Rivers State. Atsuwete was one of the counsel for the former chairman of the Asari-Toru Local Government Area, Ojukaye Flag Amachree, before he was assassinated. Atsuwete was also a lead counsel to about 400 state polytechnic lecturers who were sacked by the state government at the National Industrial Court and also the voice of the voiceless in Rivers state and a fearless critic of the current Rivers State government. I had a discussion with him recently over a human rights matter in Rivers State. I never knew that would be our last conversation. This culture of senseless killings in Rivers State has gotten to an intolerable crescendo. We can no longer pretend that all is well. The brutal killing of this lawyer is one murder too many. The Federal Government cannot continue to treat the violence in Rivers State with levity. Security is the primary purpose of the government. A government that fails to protect its citizens lacks the legitimacy to remain in power. I condemn this senseless killing and urge the security agencies to bring the killers to justice. For how long shall they continue to kill our prophets? This is a tragic loss to the Nigerian human rights community.